Just the other day I did some fun jumps with Amy Chmelecki of Arizona Arsenal and Travis Mills from Team Disfunction. 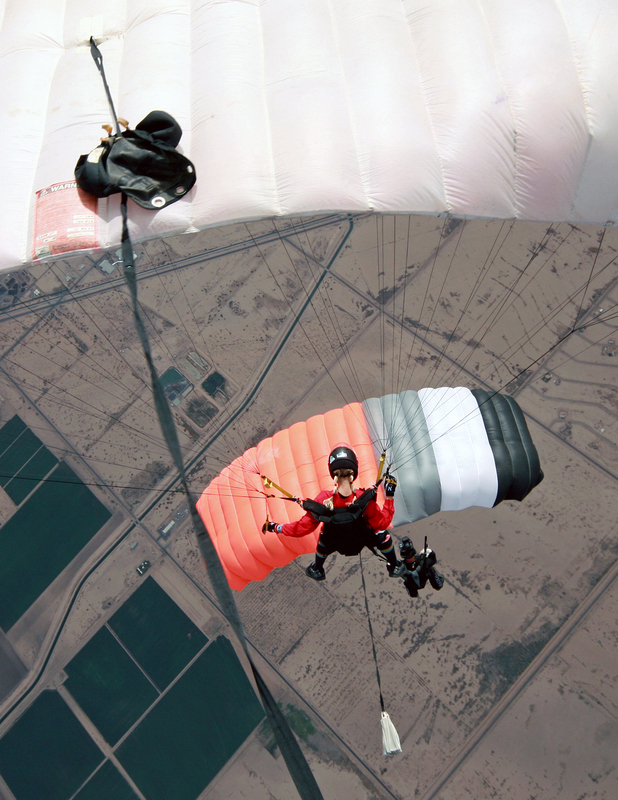 Both of them were under new canopies, and some flocking jumps proved a great way to dial them in. I took the image below by mounting my still camera on my helmet backwards. 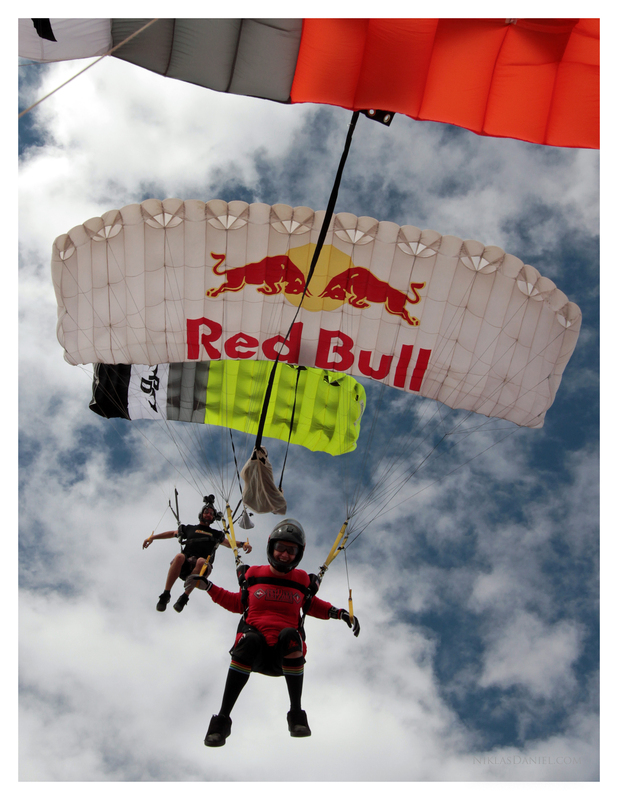 This entry was posted in Photography, Skydiving, Swooping / Canopy Piloting by niklasdaniel. Bookmark the permalink.